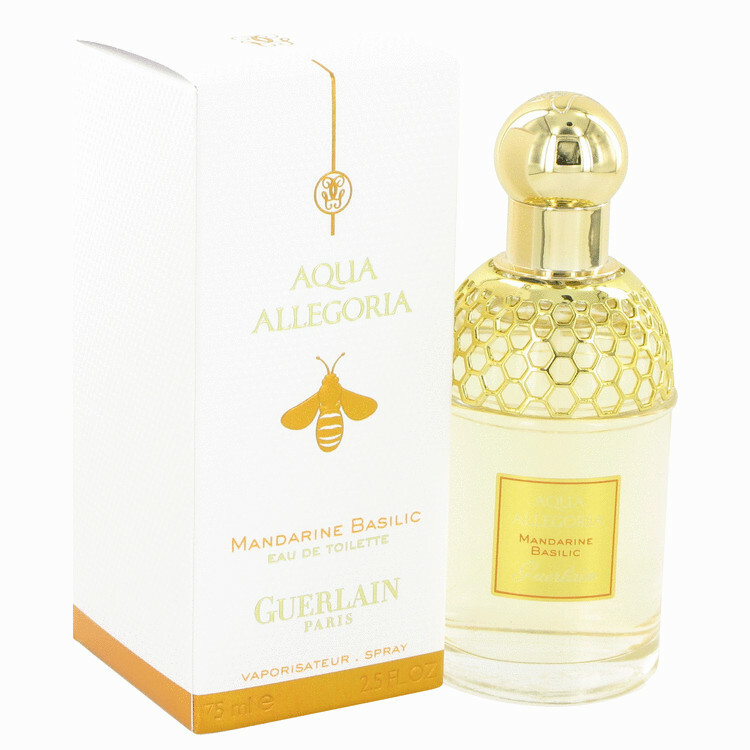 There are 12 reviews of Aqua Allegoria Mandarine Basilic. Just like the title there is mandarin and basil. The basil is particularly nice in that it smells more like the leafy cooking basil than the dried herb, so it has that sappy quality to it. The tea makes it more feminine, but it's fairly enjoyable. Nothing I'm excited about, but not bad. I had a chance to wear Mandarine Basilic as it was the only perfume I had on hand for a week while doing extensive traveling. I have absolutely nothing exciting nor unpleasant to say about this perfume. It's a solid neutral or 'meh' from me. In fact, it's incredibly forgettable when I'm wearing it - I've forgotten I've put it on and the only way for me to remember the scent is to really mush my nose onto my arm. In a way this is also a good point - it's a perfume that I really can't complain about any of the notes, it's so plain so spartan, something that anyone can like. It's not stellar, but it's not offensive either. Perfect office scent if you must sit in close quarters together, but there is nothing here to woo or shine. But, I also warn that my hubby said he could smell it perfectly fine on me even when I couldn't - the same way Shalimar Souffle was to me - I could barely detect any of the scent when everyone around me could. Makes me wonder if I found my scent blind spot with this one. Aqua Allegoria Mandarine Basilic (2007) is a nearly there fragrance for me. I like it more than Aqua Allegoria Pamplelune (1999), and I can appreciate both of them for capturing moments, snapshots of what was happening in perfumery in their release years, and memorable moments for people wearing them, and for other people around them - but they lack the effortless grace I prefer in perfume. They're loud, bombastic even; especially Pamplelune. This mandarin and basil version has the feel of an aquatic fragrance that I think captures the market trend of its time, and in keeping with that, has an unrelenting reliance on the bankable aroma chemicals that were making the rounds. These aquatic aroma chemicals are not necessarily a deal breaker, but they have to be handled with more care than they were here. The opening salvo of this worked fairly well, and it was in thumbs up territory for the first few minutes before it became clear that things were not going to work between us. Pleasant orange opening with basil and an ambery woodsy drydown, but generic and synthetic-synthetic. Limited sillage and projection on my skin with three hours of longevity. Um, really? I guess I just don't like these weird synthetic explosion perfumes. There's a shock of hedione brightness on top and a ton of salty calone, which quickly veers off in a plasticky, eggy direction, while a very sweet, very artificial-smelling mandarin orange drowns in the chemical spill, with only sweet green tea to try to keep it buoyant. The basil hides beneath the salty eggy plastic, giving hints at Acqua di Gio's salty herbal basenotes, but it's all lost in a weird plasticky chemical stew. This fragrance triumphantly incorporates the critus and herb qualities, and offers the freshness that one would expect from Guerlain's range of lighter fragrances. Definately one for the warmer days, although can be a gents evening fragrance regardless of season. A light, fresh and delicious fragrance which delivers exactly what it promises. There are no member images of Aqua Allegoria Mandarine Basilic yet. Why not be the first?